and eligible candidates may attend the interview will be conducted on 24-10-2018 at 8:00 AM. The educational qualification for applying Group Organizer & Community Organizer Jobs is candidates should have done MSW, MS Office/ MSCIT. 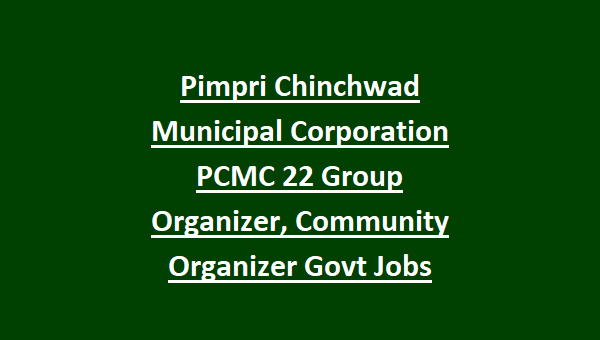 For more information of age limit, salary and how to apply are given below for PCMC Recruitment for Group Organizer & Community Organizer Jobs 2018. The age limit for the candidates applying for the Group Organizer & Community Organizer Jobs is in between 18 – 45 years. The educational qualification for applying Group Organizer & Community Organizer Jobs is candidates should have done MSW, MS Office/ MSCIT. 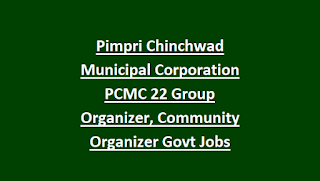 The salary offered for the Group Organizer & Community Organizer is Rs.24000/-. Candidates will refer in the official notification for the application fee. Candidates will refer in the official notification for the exam pattern and syllabus for Group Organizer & Community Organizer posts. 67333333/ for direct contact please dial 6733 and extension no.